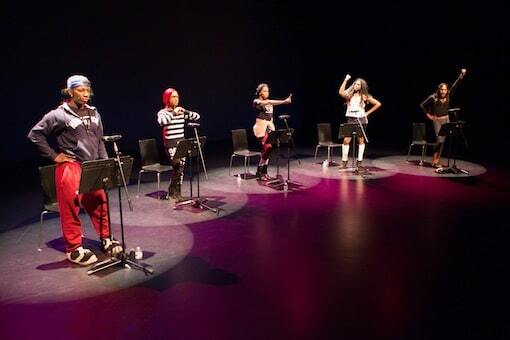 “Say My Name: Stories of LGBTQ Youth from New Orleans,” performed March 25 at the New York Live Arts Center, was developed through an interactive theater workshop with BreakOUT! members in New Orleans in October 2013. 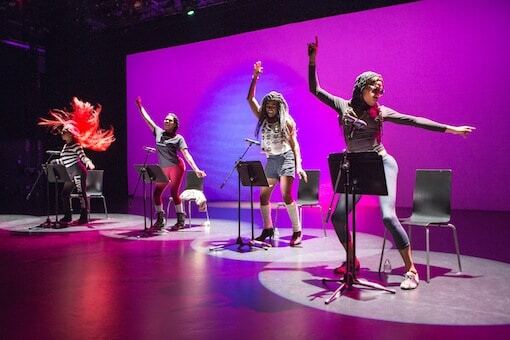 It is part of an ongoing series of community-specific oral history theater works by Ping Chong + Company known as the Undesirable Elements series. Each production is made in a specific community, with local participants testifying to their real lives and experiences. The script is based on interviews with the participants who then share their own stories in the final production. Since 1992, over 50 productions have been made across the United States and abroad. “Although the police may patrol the streets, we are the streets.” Here, the cast reflects on police harassment they often face in New Orleans. In an after-show Q&A, the cast speaks about the performance: “It’s a radical act just to document these people’s lives.” To learn more about “Say My Name,” visit the Ping Chong + Company site.